I've been so excited to announce this giveaway that it was hard for me to keep it a secret! That's why I gave you a hint everyday this week. One incredibly lucky reader has the chance to win a bag from The Leather Satchel Co.! It's get's better-the winner gets to pick whatever color or size their little heart desires. As well as any other customizations (monogramming, etc.) that you might like. Is this not one of the best giveaways! I absolutely LOVE my satchel and I know you will as well! 4. Post about this giveaway on your blog or Facebook. Make sure to include a link to THIS post. and a winner will be chosen using random.org. I think this might be my favorite giveaway that I've entered anywhere! I followed The Leather Satchel Co on Twitter! AND I posted about the giveaway on Facebook! I've been waiting for this giveaway since I first heard you're going to have one. Now the hints seem pretty clear but at first I didn't realise what could it be. ABSOLUTELY AMAZING giveaway. This is my favourite type of bags so I did everything just to increase my chances. and I also post here the 1st extra one because in the 1st comment I messed up a bit and forgot to add all 3 mandatory entries. This is an awesome giveaway! I've been wanting one of these puppies for so long. I hope I win! Following the leather sat on twitter. I already follow Leather Satchel Co on Twitter! OMG! I have been drooling over these satchels since you posted about it awhile ago! Ahhh, what an awesome giveaway!!! I "liked" their page...of course I already "like" you and follow you! Oh and I follow your blog on FB! And now I'm following Leather Satchel Co on Twitter! great giveaway, would love to enter! I'm also having my own giveaway here in case you missed it. Would love for you to enter! And also I follow you on GFC and on facebook, my name on it is Marta Grau Diaz. I follow leather satchel co on twitter! andddd I liked you on facebook! and I was the 100th person to do so! yay! Followed leather satchel co on twitter too! I "LIKE" The Leather Satchel Co on Facebook as Lena Maxwell. I am a follower of beijosTiffany at Bloglovin. I follow leather satchel co on twitter as @LenaMaxw. I "LIKE" beijosTiffany on Facebook as Lena Maxwell. thank you for visit and invite i love this one!! why is everybody posting so many comments?? i like and follow you. and i HAVE TO win this!! -I'm a follower of beijosTiffany at Bloglovin! 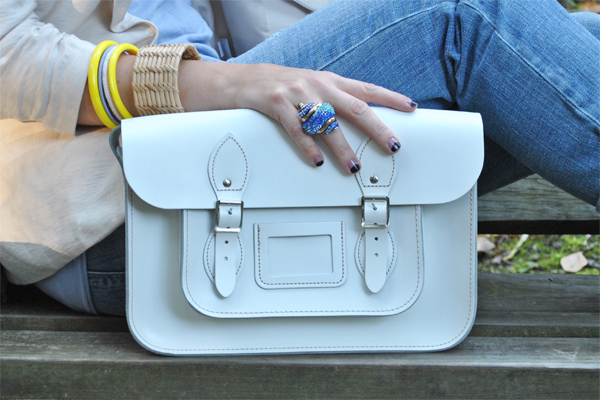 I am a follower of the Leather Satchel Co on facebook and I'm now following you on bloglovin! Wow - awesome bag and I love their colors! My email is in my profile. Thank you! I am following the Leather Satchel on twitter @rusthawk. Im a follower and I already liked them on fb! and HOW amazing is british racing green?! Such a great giveaway, it would be divine to actually own such a great bag! Following Leather Satchel Co on Twitter! i liked The Leather Satchel Co on Facebook! God I love these bags, this must be the 100th time ive tried to win one! I think I ve done everything I could to enter this marvelous giveaway!!! Fab giveaway, these satchels are fab. ...and have followed you on Facebook! i love love love this!! i'm a follower in bloglovin and google! i tweeted about this giveaway!!! ohhhhhh.....fingers crossed, legs crossed, feet crossed, eyes crossed, everything crossed! Hii! Completed all the necessary steps, I love these bags!!! Thanks for this giveaway, which made me discover your blog and I love it! I'm a Leather Satchel Co enthusiast and wouldn't mind adding one to my bag collection. I'm in love with satchel bags! omg, I just adore satchels and would love to have this one in my little collection! maybe mr. random will pick me.. hope so :) thanks for the opportunity! Liked the leather Satchel Co on Facebook and followed you! Followed the Leather satchel co on Twitter.